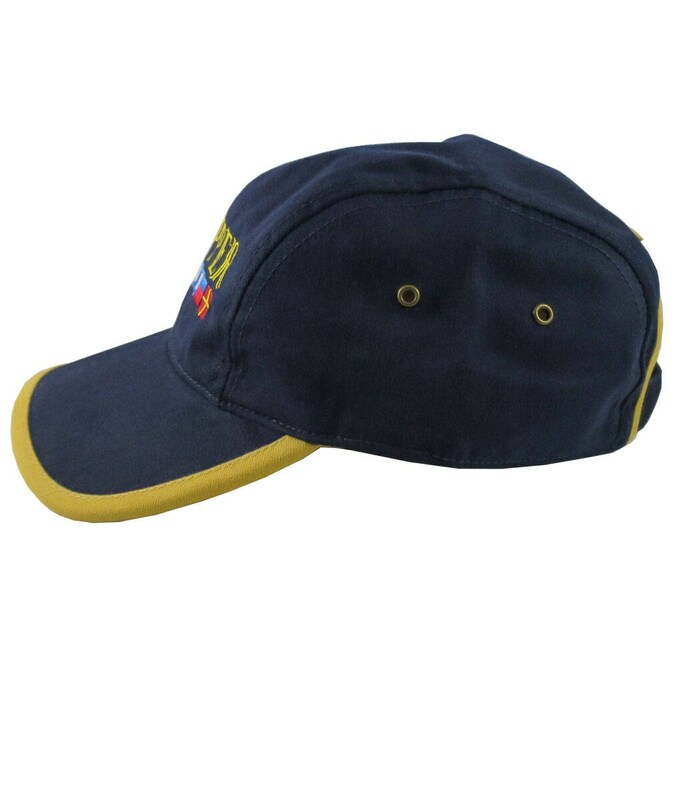 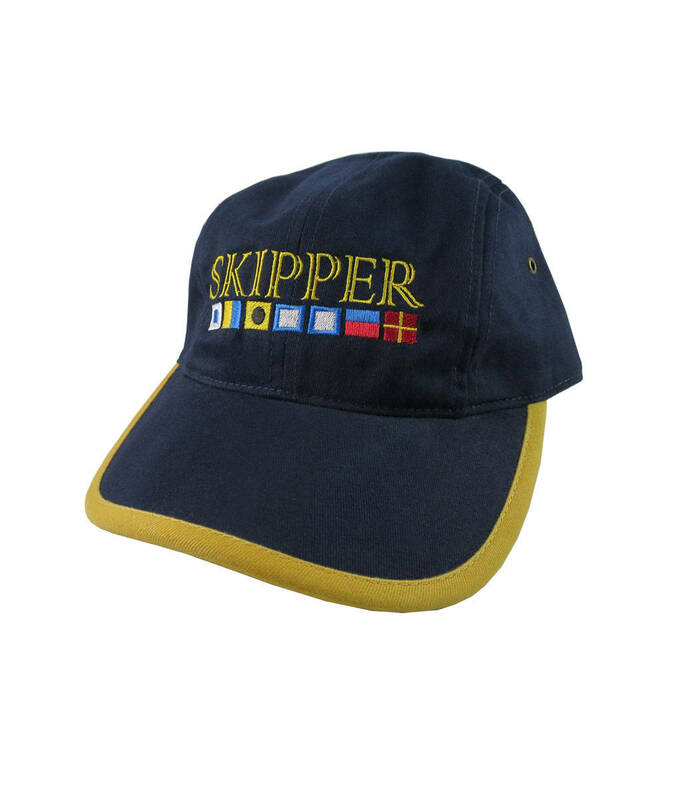 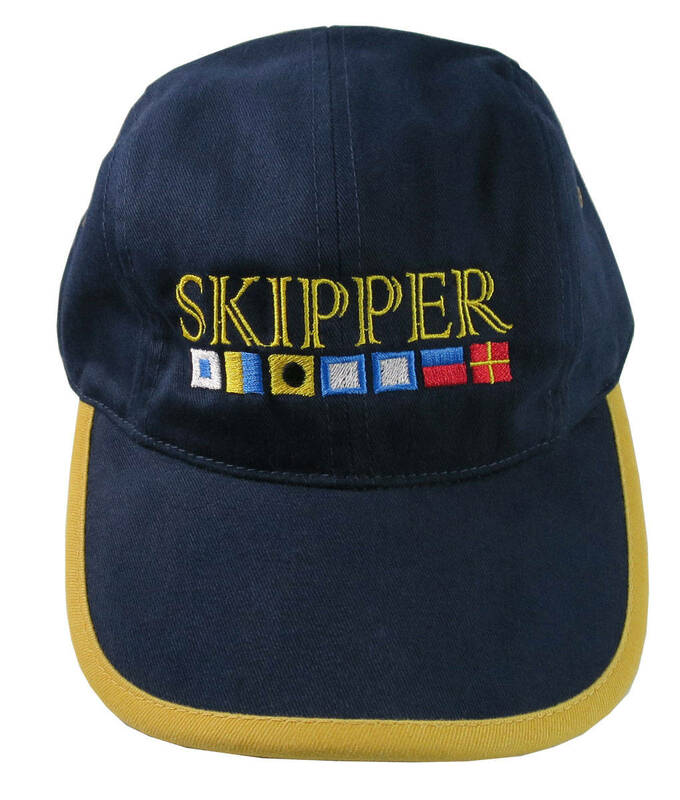 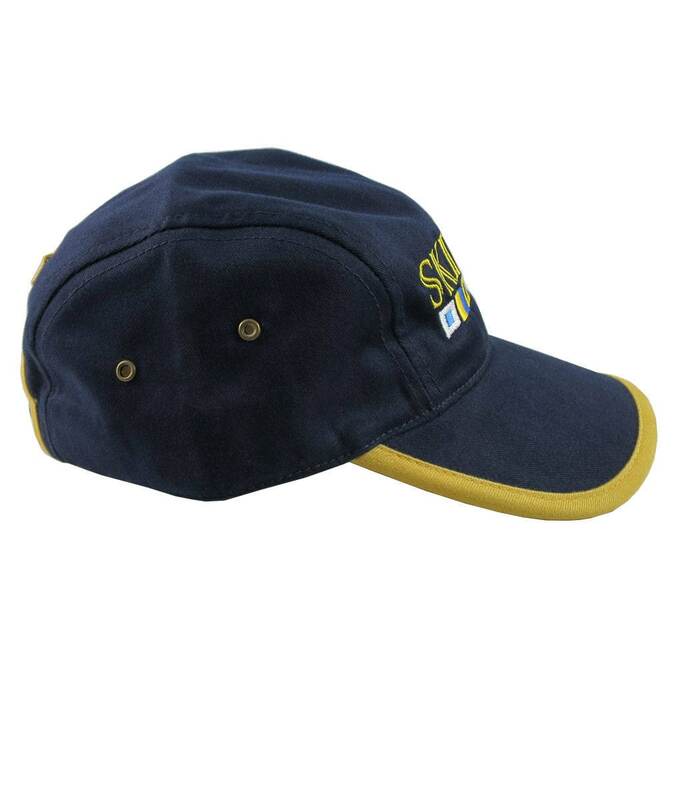 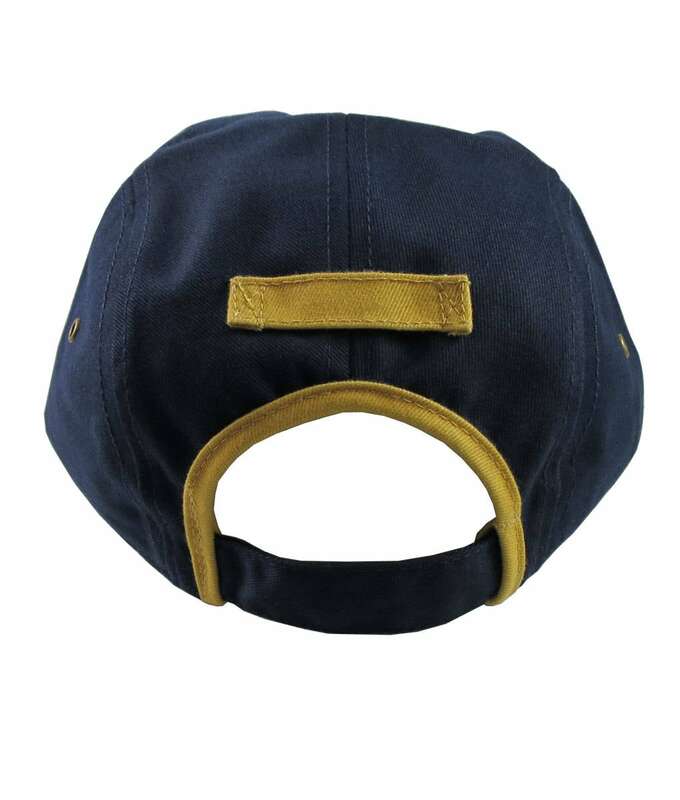 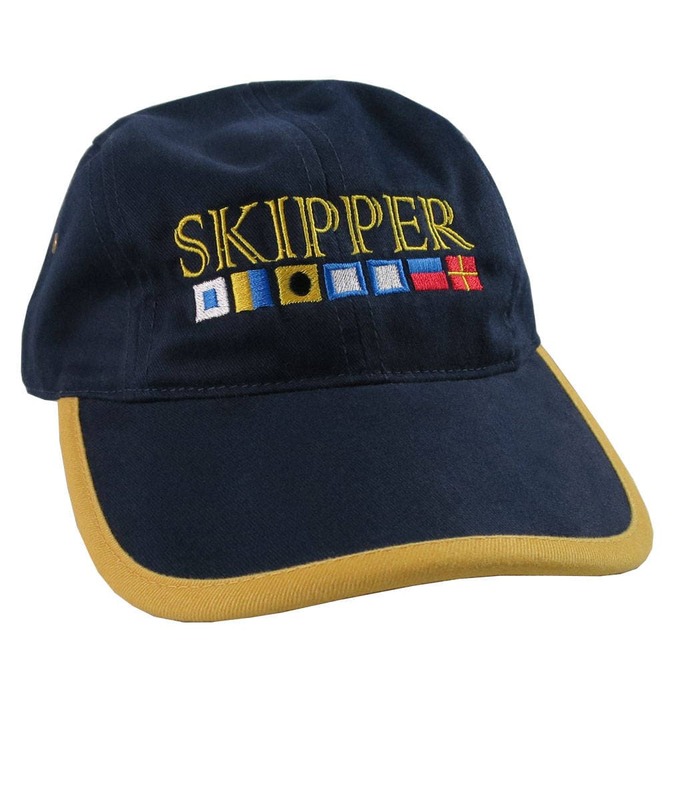 A Skipper title design on a row of nautical signal flags spelling out "S K I P P E R" embroidered on a navy blue and mustard yellow adjustable unstructured classic polo style cap. 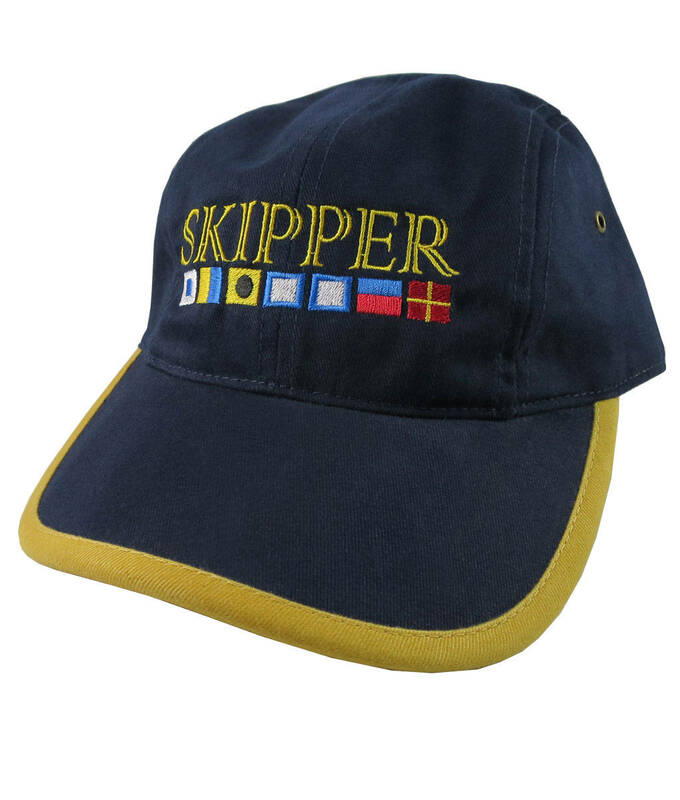 This hat look screams nautical lifestyle. 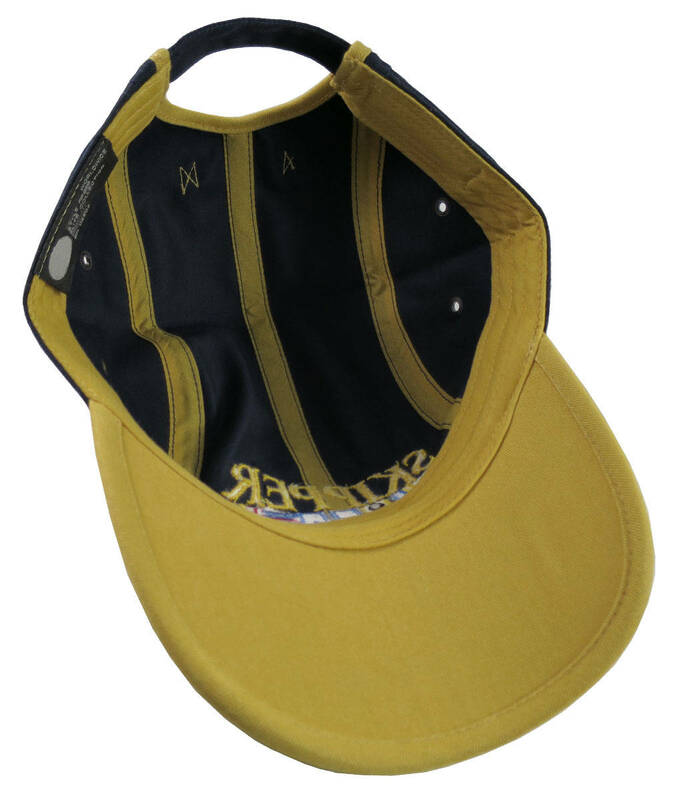 It comes with antique brass side eyelets and a handy back loop feature so you can hang this hat for display or for drying. 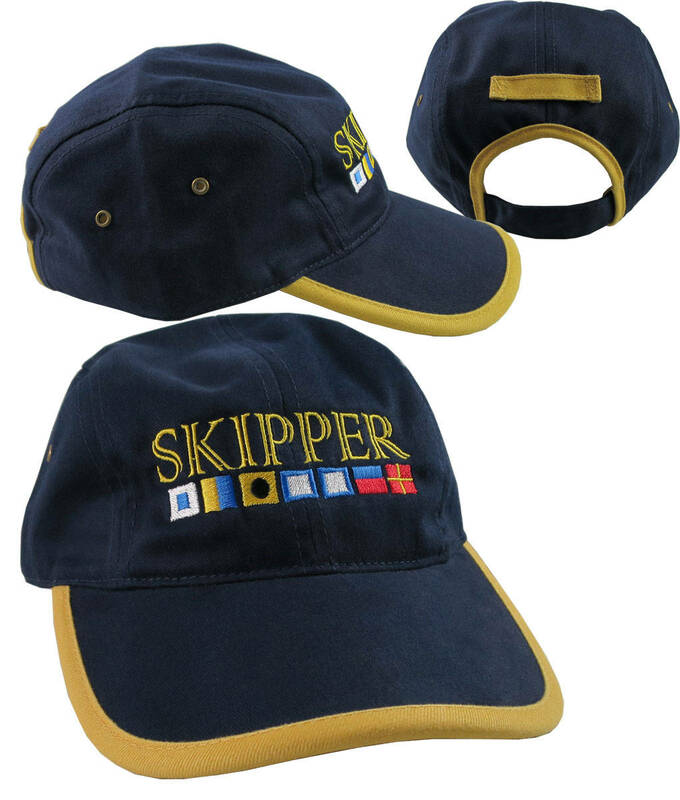 A great gift idea for the boating enthusiast or for a special member of your crew.